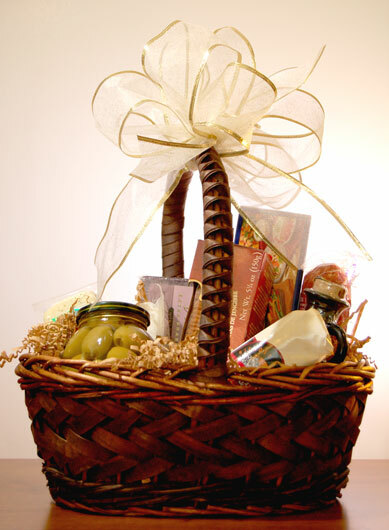 A beautiful bow adorns a woven, dark wood gift basket. A jar of olives, some sausage, cheese and crackers peek up from the shredded stuffing. There is even a corked bottle of olive oil to drizzle across the top. Any combination of items could be included in this basket, such as a cheese knife, small cutting board, and several fancy napkins.